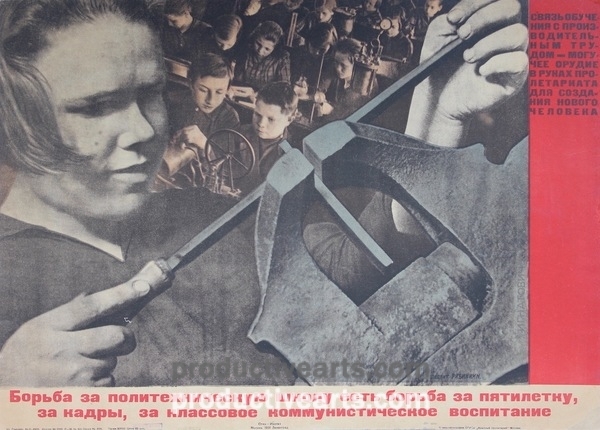 The Struggle for the Polytechnical School is the Struggle for the Five Year Plan. Design by Elizaveta Ignatovich. 1931. Lithograph in photomontage printed in black and red. 20-1/8″ x 28″. Some restoration.